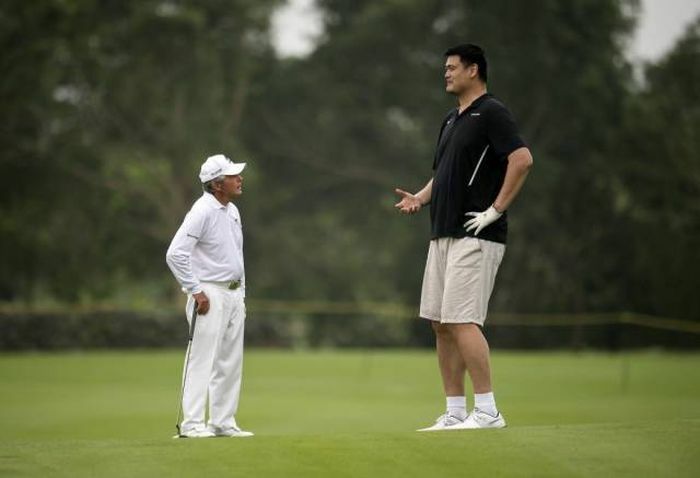 Yao Ming is a retired Chinese basketball player who happens to be very tall (7 ft 6 in). 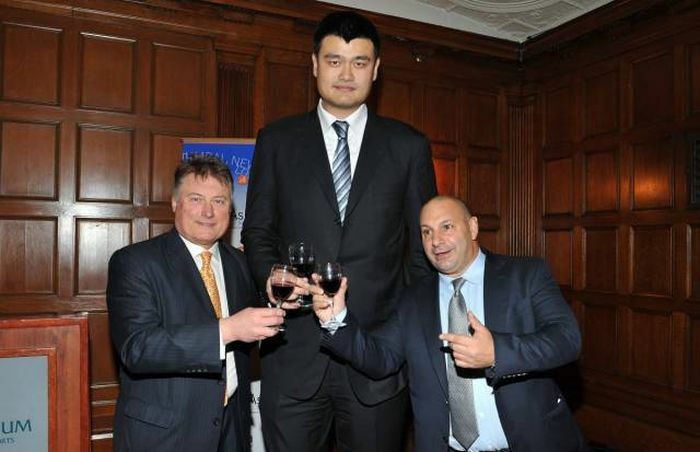 But Yao Ming's height can only be truly appreciated when you see him stand next to people normal sized people. People love posing with Ming. Since retiring, Ming has served as a delegate for the Chinese People’s Political Consultative Conference where he looms large. 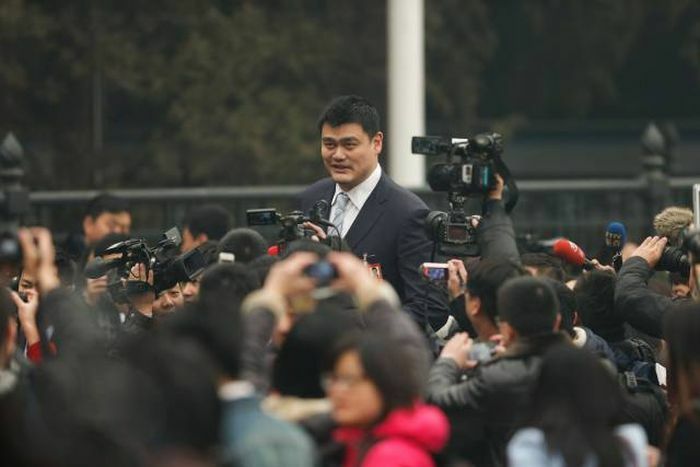 In a sea of reporters and photographers, Ming looks like a mountain peaking up through the clouds. 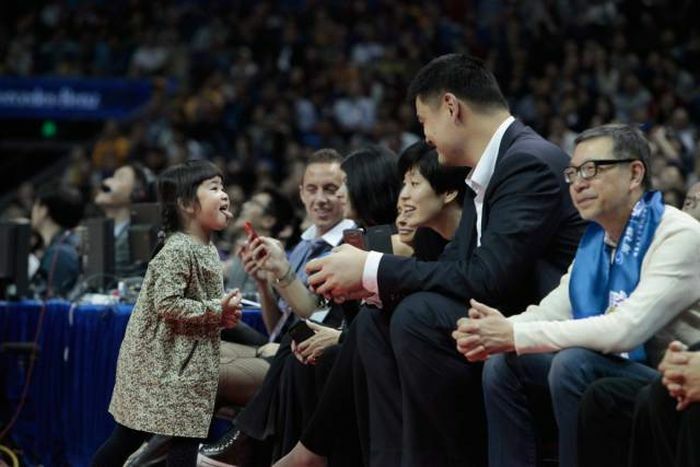 Here is Yao Ming with Hong Kong actor Eric Tsang. 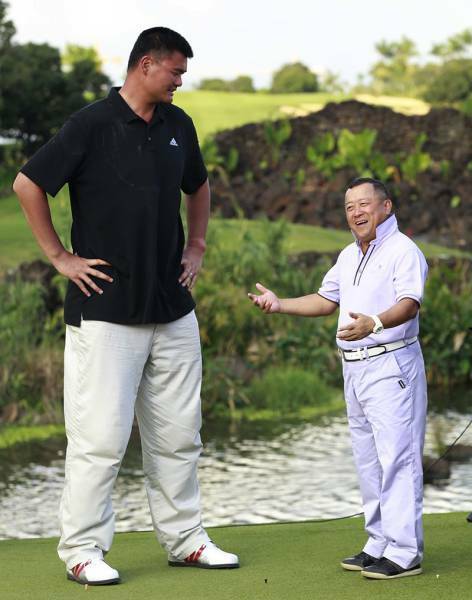 But it is most jarring when Ming stands next to other athletes, like JJ Watt, who is 6-foot-5 and weighs 290 pounds. 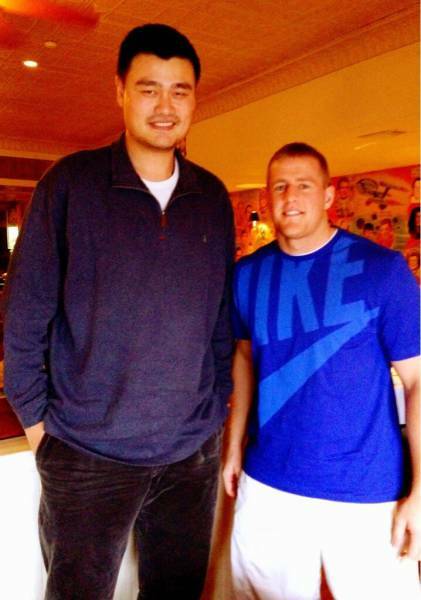 Watt looks like a high school football player next to Ming. 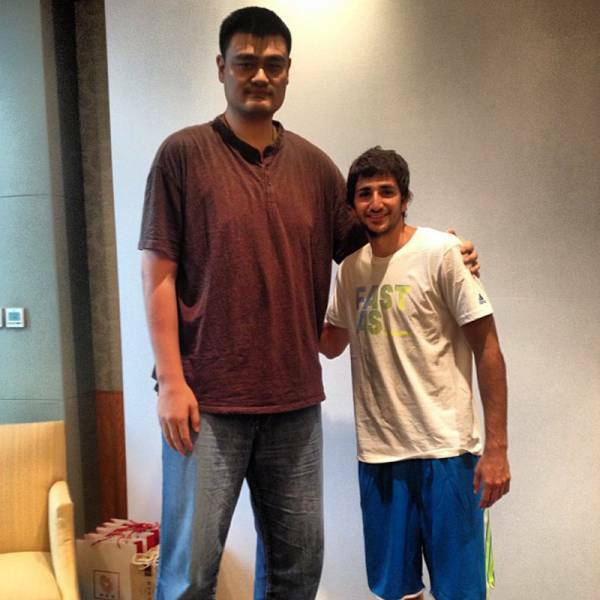 Ricky Rubio is only an inch shorter than Watt, but looks like a child next to Ming. 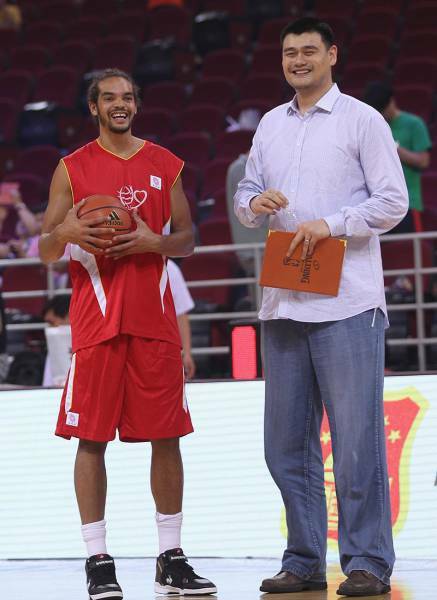 Even the 6-foot-11 Joakim Noah is tiny next to Yao. 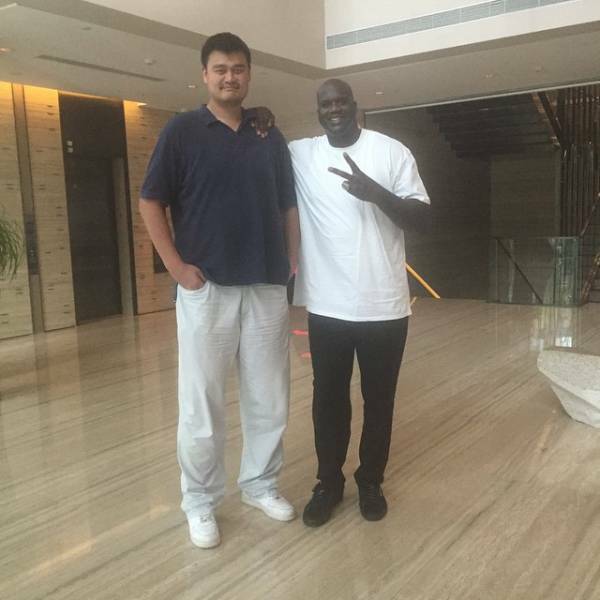 Shaquille O'Neal is 7-foot-1 and weighs over 300 pounds! 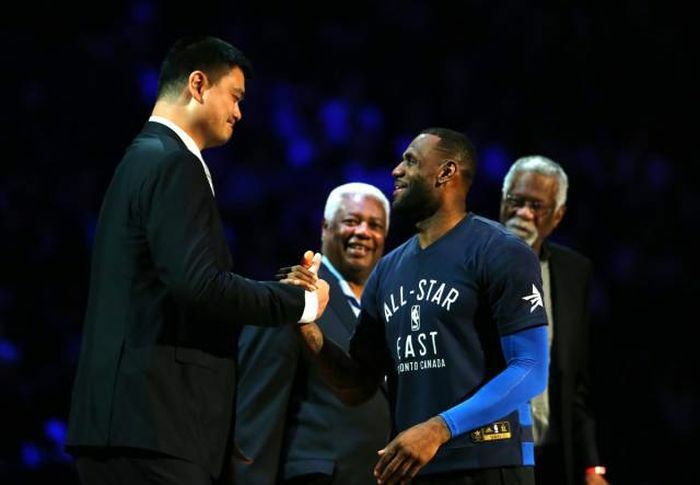 The 6-foot-9 LeBron James doesn't have to look up to to many people. 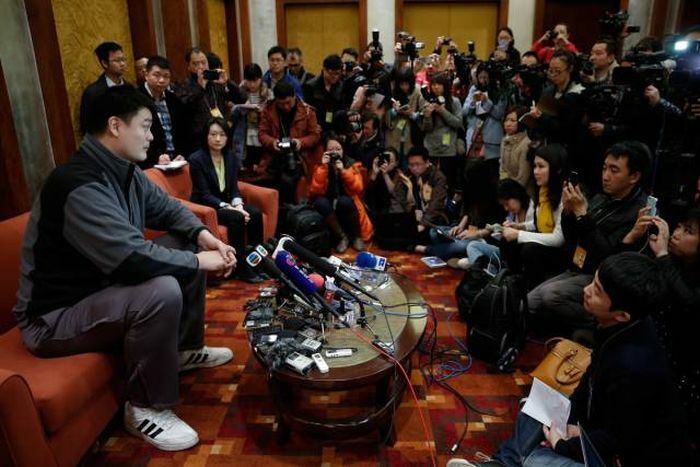 Even when he is sitting down at a press conference Ming can make other people look tiny. 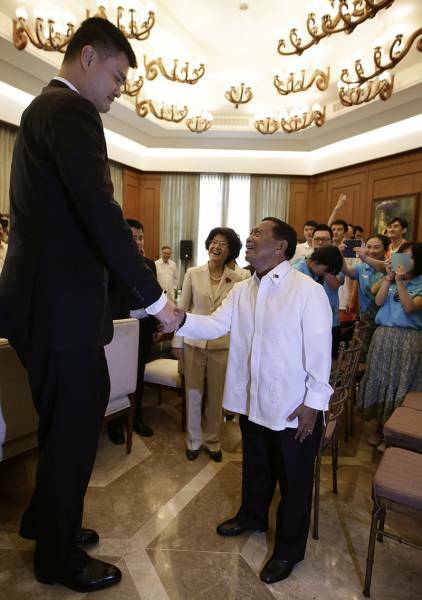 Here Ming is greeted by Philippine Vice President Jejomar Binay. 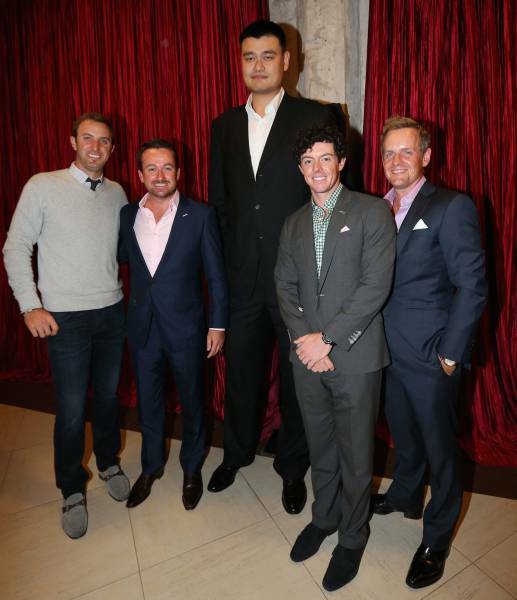 These four golfers never looked so small. This photo of golf legend Gary Player looks like it should be an optical illusion. 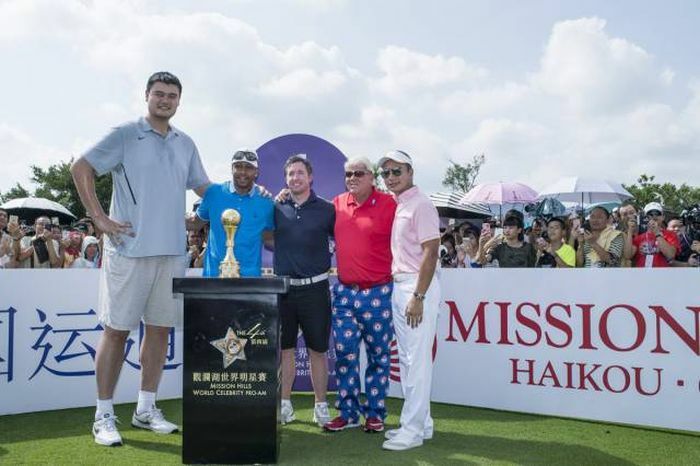 Here is Yao with Allen Iverson (in the blue shirt) and John Daly (in the red shirt, but you guys knew that). OK, that is actually a child. 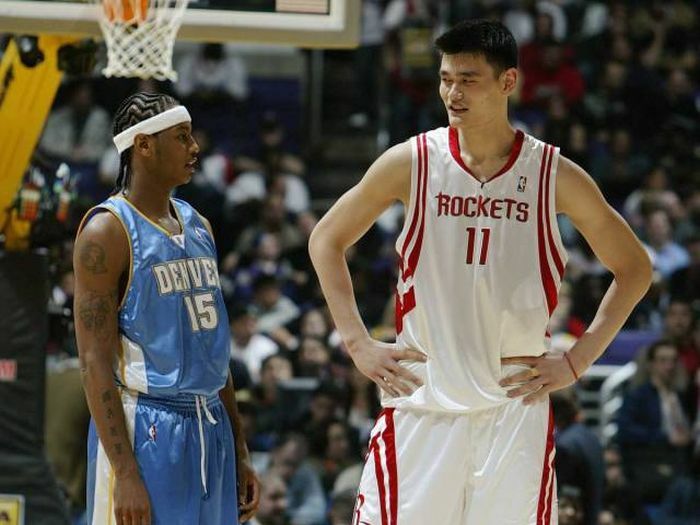 Yao has always been tall. But when he played he was much thinner so the juxtaposition was not as jarring. 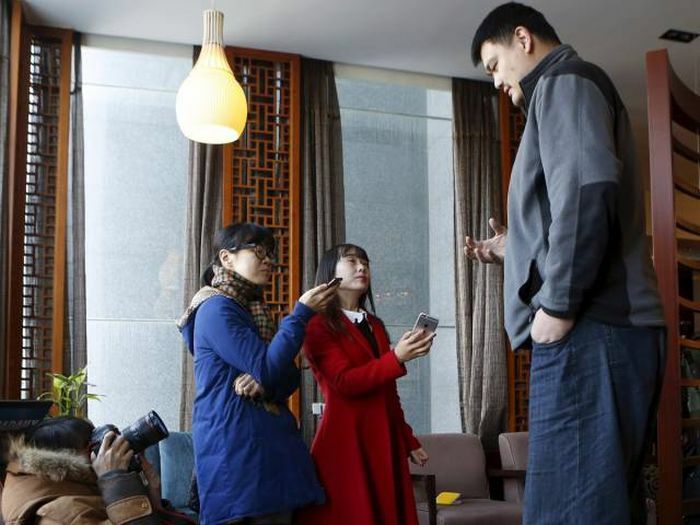 One person Yao doesn't make look tiny is his wife, Ye Li, who is 6-foot-3 and also a former basketball player. 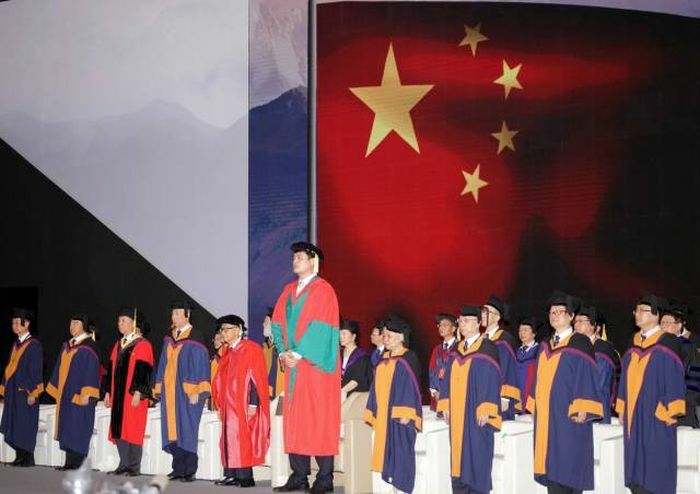 Here is Yao at a graduation ceremony at Shantou University. 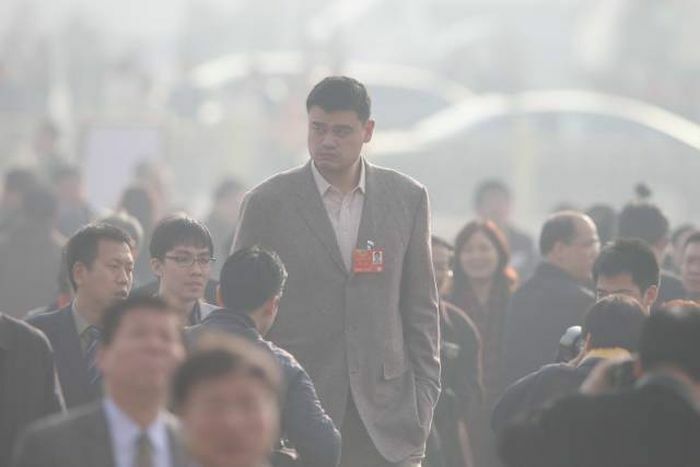 Yao is truly larger than life.